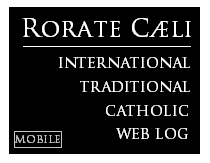 In 2011, we published an extensive online book by Don Pietro Leone Monselice, "The Roman Rite: Old and New", as a gift to all our readers. 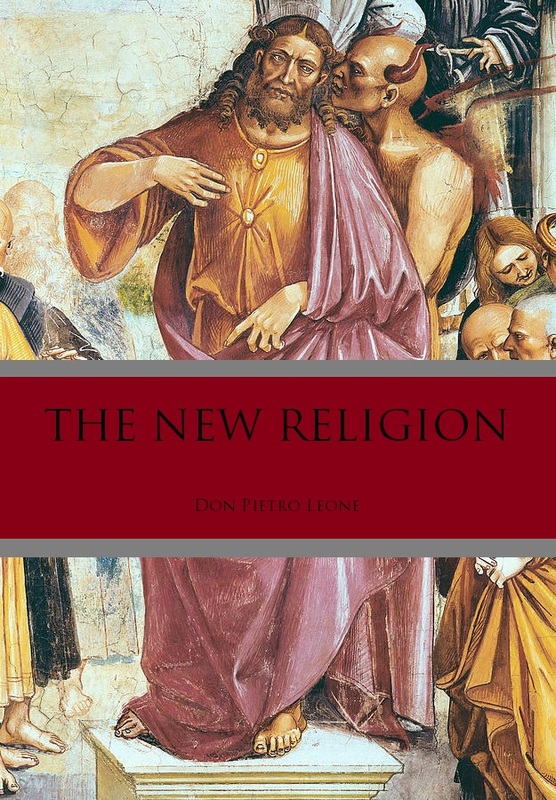 Five years later, we are honored to publish exclusively another master work by Don Pietro Leone, a bright priest celebrating the Traditional Mass exclusively in an Italian diocese. The book deals with gnosis, and its influence on the formation a the new religious mindset in the Catholic Church. Appropriately, the book cover is a detail of Luca Signorelli's masterpiece in the Duomo of Orvietto, "The Sermon and Deeds of the Antichrist" (Predica e fatti dell'Anticristo). We hope you enjoy the reading. The first part is published today, and the additional chapters will be published shortly. Now the content of Faith is immutable and infallible, and, as the First Vatican Council teaches, can develop through the centuries only in the clarity and profundity of its expression. In recent years, however, we have observed how doctrines have been insinuated into the Magisterium which constitute neither a clarification nor a deeper understanding of the Faith, but rather new doctrines: heretical in character, either actually or tendentially, according to the deadly agenda of Modernism. 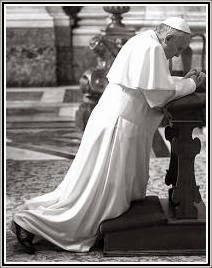 What we would like to ask now with regard to these doctrines, is whether they represent mere distortions or falsifications of the respective articles of Faith, or whether, together with the New Rite of Mass, the New Rites of all the sacraments, the New Code of Canon Law, the New Breviary, the New Catechism, the New Evangelization, the new morality and spirituality lived and preached by the clergy, the new relaxed Church discipline (in the rules of the religious orders and the dress of the clergy) they form as a whole a New Religion altogether. III Gnosis as the New Religion. Postscript on Gnosis in the World of Today. I wish to thank Francesca Romana for her kindness and tireless efforts in translating this essay. The first of these great systems of thought and life is, then, the Catholic Faith (including its pre-Christian phase), and the second is Gnosis. The former is the one true Faith and Religion. The latter, inasmuch as it constitutes a coherent body of doctrines and is widespread, inasmuch as in the final analysis it is atheist and in its essence antagonistic to the one true Religion, can be described as an Anti-Religion, or as the Anti-Religion par excellence. How should we define Gnosis? The word ‘gnosis’ comes from Greek and means ‘knowledge’. As we shall later see, this knowledge is understood as a form of arcane knowledge directed towards the self-deification of man. Gnosis, the perennial rival of the Catholic Faith, was first manifest amongst men in the event known as Original Sin. We proceed to meditate on this primordial event as recounted in the book of Genesis. The event here described, that of Original Sin, has always been understood and taught by Holy Mother Church as a real event on the part of the first human couple, Adam and Eve. It was a sin of pride and disobedience to God, caused by the seduction of the Devil in the form of a serpent: an action which, inasmuch as it was performed by the representatives of the whole of mankind, brought about harm not only to them but also to all of mankind. This event at the same time constitutes the paradigm of Gnosis. First of all we observe that Gnosis is based on the negation of Divine Revelation, on the negation of the Word of God, namely, that death will be the consequence of eating of the forbidden fruit. For this reason it may be described as heretical, even if it is not heretical in the typical and formal sense of denying a dogma of the Faith. Let us proceed to examine the Gnosis system in the light of the Catholic Faith: first in its theology, then in the knowledge that it purports to offer to man, and finally in its morality. The principal characteristic of Gnostic theology is Monism. The reason for this is simple: if man can become God through his own efforts, man must share in the nature of God: man and God must possess a single nature, differentiated only according to the degree and perfection of that nature. Gnostic theology is monistic; Catholic theology, by contrast, is dualistic, teaching that man and God possess two different natures: a human nature and a divine nature. These two natures are not differentiated only and essentially according to their degree of perfection, but rather in their ontological diversity. We see further that the principal characteristic of Gnosis, namely Monism, includes another characteristic – immanence – for if man and God possess the same nature, if they are not distinct in their nature, then God must be immanent to man. By contrast, Catholic philosophy and theology teach that God is transcendent to man, and indeed to the whole universe: philosophy teaches that He is absolutely above and beyond the universe: absolutely independent from it; theology teaches the same on the basis of the dogma professed in the Creed that God is Creator and Judge of the world: He, Who created the world through a perfectly free act of the will, and is also its Master and Judge, is necessarily absolutely independent of it. Another characteristic of Gnostic theology is the mutability of God. According to Gnosis man becomes God, so that in a certain sense God Himself is in the process of becoming, which means that there is a certain movement and mutability in God. Catholic philosophy and theology on the other hand, teach that in God there is neither mutability, nor movement, nor change, since God is Being itself, the fullness of being, Pure Act in Whom everything is actualized. In conclusion, then, we see three errors in Gnostic theology as already expressed in the book of Genesis Monism in contrast to Dualism; absolute immanence in contrast to transcendence; mutability in contrast to the immutability of God, Pure Act. We observe in relation to the second point, that the doctrine of God’s absolute immanence is logically unsustainable. This is because the concept of God, deepened by theological refection, is a concept of a Being necessarily transcendent to the world. If we deny the transcendence of God, by positing that He is solely immanent to the world, we effectively deny His very existence. The same is true for the other theological errors of Gnosis: the Monism between God and man and the mutability of God. v) It is arcane: it is not accessible to everyone, but hidden, indeed intentionally hidden by God, so they claim, for His own questionable motives. Let us compare this knowledge offered to our first parents by the Devil with the knowledge of God offered to man by the Catholic Religion. i) The knowledge of God offered to man by the Catholic Religion is also of two types: the first type is the Faith itself which is a means to reach the final end of man in Heaven; the second is the Beatific Vision, which constitutes that final end. The knowledge of God in both cases is the knowledge of the Most Blessed Trinity, a knowledge which is therefore infinitely superior to that offered to Adam and Eve. v) Finally, the knowledge of God in this life, that is to say the Faith, is not arcane, nor hidden by God, but revealed to man, with the mandate of proclaiming it to the entire world. In conclusion then, we see that Gnostic knowledge is nothing more than a pale shadow, a deceitful surrogate, of the true knowledge of God: its object is not the Most Blessed Trinity, its mode is not supernatural; it is divorced from good works, sought for pleasure, and falsely presented as the True Good. Let us finally examine Gnostic morality as it is manifest in the passage from Genesis, comparing it to Catholic moral theology. ix) The former is accessible only to an élite, the latter to all men. In synthesis, the former is characterized by pride and egoism; the latter by humility and sacrifice. In short, it can be said that Gnosis is Egoism elevated to the status of a Religion. Gnosis enables man to be like God in one sense, that is in the exercise of his free will to do whatever he desires, but at the cost of eternal beatitude. The Catholic Faith on the other hand, enables man to become like God in the exercise of his free will in harmony with the order established by God: the order of the objective True and Good, with the purpose of knowing and loving God here on earth and afterwards in Paradise. In the Garden of Eden there are two trees: the Tree of Knowledge of Good and Evil, and the Tree of Life. To eat of the first tree pride is necessary, to eat of the second, sacrifice. The first represents Gnosis, the perennial rival of the Catholic Faith; the second represents the Faith: For the second is the Tree of the Cross, the fruits of which are all God's graces and blessings here on earth and the eternal joys of Heaven. To gain possession of these, however, it is necessary to pass through suffering and sacrifice, by taking up the Cross and carrying it behind Our Blessed Lord, to Whom be every Honour and Glory forever and ever. Amen. Labels: Don Pietro Leone's "The New Religion"